Our community skate night is returning for its 14th year! 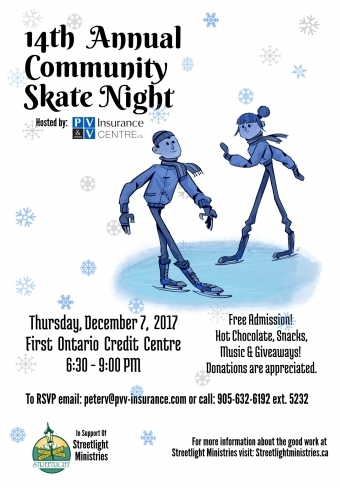 Enjoy a night of skating and socializing with friends and family. Coffee, donuts, and hot chocolate will be provided.